Callaway makes some of the highest performing irons on the market. There are Callaway iron sets to fit every level of golfer, from super game improvement to classic muscle-back. 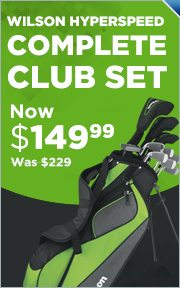 We have a wide selection of new and used Callaway iron sets to shop from as well.